 Estate Planning — Hoff Barry, P.A. The future is now. It’s time to plan for it. Drafting a will and other estate planning can help you provide for your family’s needs and give you peace of mind. By coming up with a comprehensive estate plan involving wills, trusts, and powers of attorney, you can make sure your wishes are honored and your family isn’t left to guess about your intentions. You can help your family avoid guardianship disputes and make sure your assets are distributed according to your wishes. A health care directive can also make sure your loved ones are informed about your feelings on the most difficult decisions about your health care.